A Stop Watch that does everything you need! Great for coaches and individuals alike. Use it for track, swimming, running, biking, or anything else you can think of. Now built from the ground up to support iOS 8! 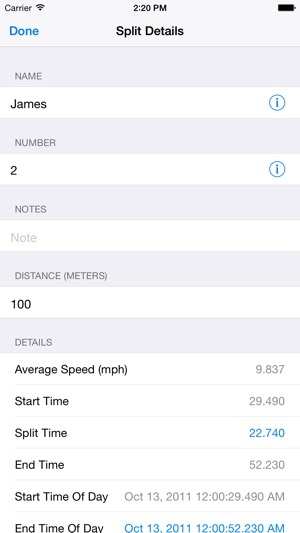 "I used Stop Watch for a 6K race with 200+ runners shortly after I downloaded it. Stop Watch was supposed to be the backup timer. It turned out to be the only timer. The primary timer crapped out." - Bob B. 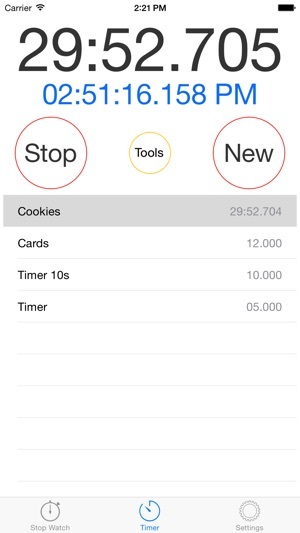 - A smaller timer that displays the current lap's time, in addition to the main timer that displays the total time. Stop Watch also features timer capabilities! 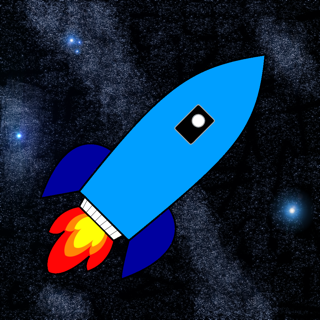 - Have multiple timers running at the same time (up to 64) to manage your life, kitchen, etc! Note: You may see that the timer appears to jump at times, but be assured that the timer is still fully accurate. 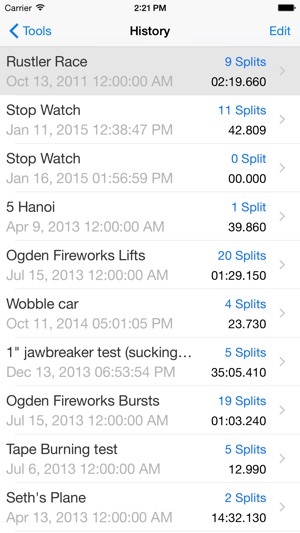 - Share your Stop Watch data directly to apps like Numbers! 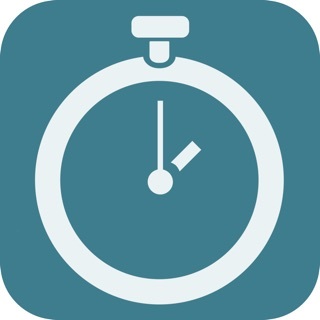 - AirDrop sharing of your Stop Watch data! - Reset a Timer while it is still running! 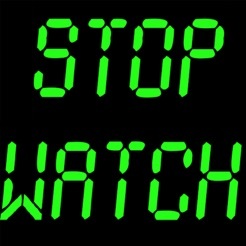 Please help support future development of Stop Watch by reviewing it in the App Store! Wasted my money it's just a stop watch that you can get for free. 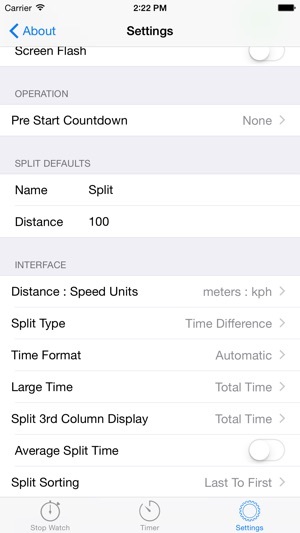 Simple and easy to use, with all the functions you need of a split time / memory stopwatch. 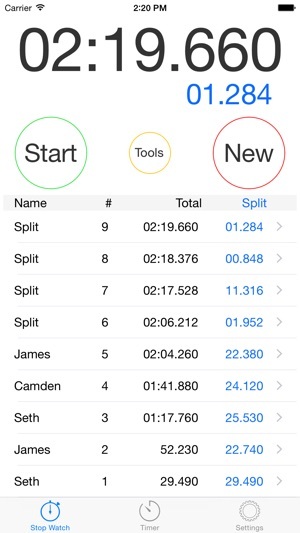 Records lap times and cumulative times, and when you press 'stop' it also displays the final lap and cumulative times (which many stopwatches fail to do). Data can be saved for later recall or emailed. 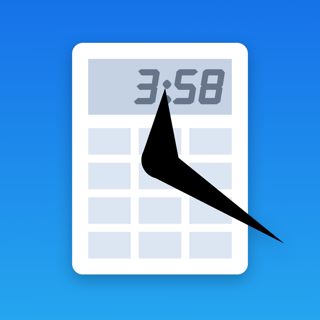 This simple App overcomes all of the many shortcomings of the stopwatch supplied with the standard first generation iPod Touch, which is pretty much unusable for any serious sporting application. Great stopwatch guys. We used it today to time a race with over 1,300 runners. Used the split times to time runners when crossing the finish, emailed the results and then merged the times with recorded race numbers in a spreadsheet. Worked brilliantly. Like the function that stores the results even if you make a mistake. © 2014 Pencil Busters, Inc.